Unvaccinated students have been ordered to stay home from a Melbourne school to protect them from a measles outbreak that has infected 14 people – and is spreading because of some parents’ reluctance to vaccinate their children from preventable diseases. The 21 non-vaccinated students have been asked to stay home until at least March 1 to try to stop the spread of the disease that has already infected two of their fellow Princes Hill Primary School students. Neither of the two students from the Carlton North school were fully vaccinated before catching the measles. The students are among five new cases connected to a Brunswick measles cluster that emerged this month. The new outbreak comes only weeks after 80 children at a Brunswick primary school were struck down with chickenpox. Health Minister Jill Hennessy says other families need to take action to protect their children. “We really do have deep concerns about the exposure of all of these 14 people with measles across the community, because people do not just go to school, they go to coffee shops, playgrounds and workplaces and it is highly likely we will see an increase in the number of people that will be diagnosed,” Ms Hennessy says. “We’ve got to circuit-break this ongoing resistance that some people have to vaccination, we have got to keep making vaccinations accessible and challenge down the myth-makers who say vaccinations are not safe. Education Minister James Merlino says 21 of the school’s 461 students are not fully immunised and have been told not to attend school until at least March 1, the Herald Sun reports. “Teachers who can’t demonstrate they are immune or have had at least one vaccination will also be excluded from the school,” Mr Merlino says. Measles can cause serious and sometimes deadly complications including pneumonia and brain inflammation. Some parents, buoyed by myths and falsities, are refusing to vaccinate their children, with figures showing one in 10 Brunswick kids– a suburb in Melbourne’s inner north – are not vaccinated. The Department of Health has published information explaining the myths and concerns some have about vaccination in an effort to educate people of the importance of protecting children from highly contagious – and sometimes fatal – diseases. All vaccines currently available in Australia must pass stringent safety testing before being approved for use by the Therapeutic Goods Administration (TGA). This testing is required by law and done over many years during the vaccine’s development. In addition, the safety of vaccines is continually monitored once they are in use. Vaccines may produce some side effects, such as pain and redness at the injection site or fever, but most reactions are mild and resolve quickly. Before vaccines are made available they are rigorously tested in thousands of people in clinical trials which are strictly monitored for safety. All vaccines registered in Australia are manufactured and tested according to strict safety guidelines and evaluated to ensure they are effective, comply with strict manufacturing and production standards and have a good safety record. The approval process can take up to 10 years. Vaccines that don’t pass the tests are never released. The viruses in current viral vaccines are grown in either the cells of chicken eggs (flu vaccines) or in cell lines. These cells are thoroughly screened for foreign agents such as other viruses or bacteria. There is no evidence that thiomersal (a mercury-based preservative) in vaccines has caused any health problems, except minor reactions such as redness at the injection site. Many studies and expert reviews have shown that there is no evidence of developmental or neurologic abnormalities, such as autism, from the use of vaccines containing thiomersal. 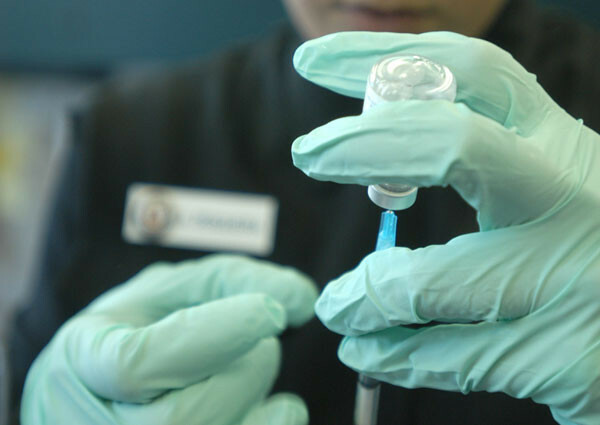 Since 2000, vaccines used in Australia’s National Immunisation Program have not contained thiomersal as they are now produced in single-use sealed vials that do not need a preservative. Some vaccines, such as pneumococcal vaccines and the MMR vaccine never contained thiomersal. 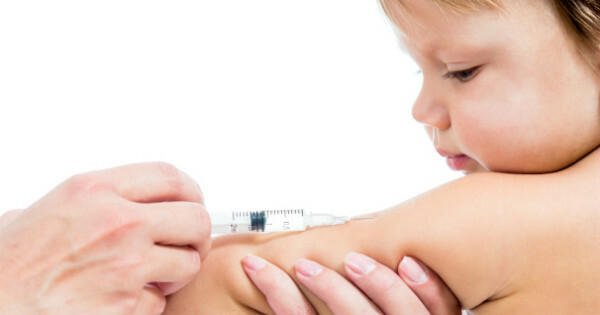 The proposed theory linking the MMR vaccine and autism comes from one published study that has since been retracted due to the data being fraudulent. It is impossible for the influenza vaccine to cause the flu. The vaccines registered for use in Australia are all inactivated, which means they do not contain live virus. Most vaccines available in Australia are inactivated or prepared from only part of the pathogen. This means the components of the vaccine are not living and therefore cannot cause disease. An exception to this is live attenuated viral vaccines which contain weakened forms of the virus that the vaccine aims to protect against. The weakened virus does replicate in the host to create an immune response, but cannot cause disease. Infectious diseases that vaccines target can be serious and even fatal. These diseases were common in Australia and other countries prior to vaccination, but with the introduction of vaccines and very high vaccination rates in the community, the number of cases of these diseases has been reduced. Current generations of parents are unlikely to have seen a child paralysed by polio, a child with obstructed breathing due to diphtheria, or someone with brain damage due to measles. In Australia, there are more than 3000 deaths due to influenza per year in people aged over 50 years. All vaccines in Australia are assessed by the TGA to ensure they meet strict safety guidelines prior to being registered for use. This includes stringent testing for all vaccine components, including adjuvants, preservatives, additives and any manufacturing residuals. A Department of Health spokesman has allayed concerns for parents worried about the risk to their infants after attending maternal and child health appointments within the Princes Hill school grounds yesterday. He says there was no interaction with students and no risk presented. A Babyology survey found it is common for parents to miss the all-important vaccination dates, but we have found a really simple way to make sure you’re always reminded when your child’s vaccination is due.